The 1998 Court of Appeals decision in Beynon v. Montgomery Cablevision ruled that pre-impact fright is compensable in Maryland auto accidents. We all know what pre-impact fright is–those brief moments before an impending collision when you realize that another car is going to hit you. This is the moment that causes you to freeze, to shut your eyes, to pray, to hold your breath. It’s that moment that the adrenaline shoots through your system. The old rule was that damages could be recovered for injuries like fright only with physical impact, but that rule was done away with in 1909. For the run of the mill auto case though, a better case is made with some element physical impact or injury–a close call doesn’t usuallycut it. The Beynon case was about whether pre-impact fright was compensable in a wrongful death case where the driver was killed in the collision. In that tractor-trailer collision, a driver collided into the rear of a truck. The allegations against the truck driver were that the truck did not have proper lighting in the rear, making it difficult to see. 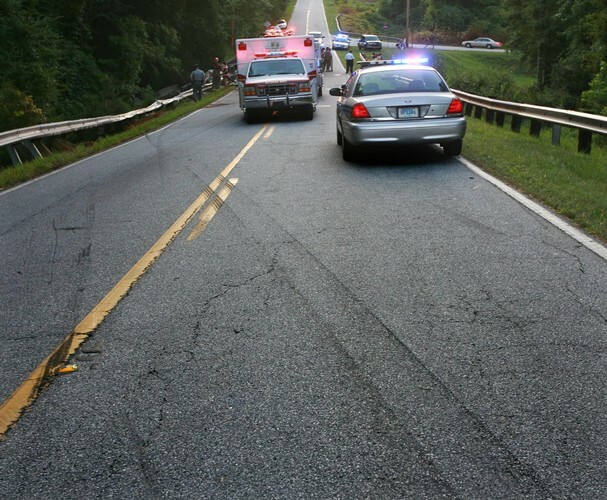 Leading to the point of impact were over 71 feet of skid marks–a clear indication that the driver knew what was coming. He died on impact. The trial jury decided that $1,000,000.00 in pre-impact fright damages were sufficient (according to Maryland law applicable at the time, that figure was reduced to $350,000.00). A primary concern of the court was to prevent fabricated and speculative claims. Particularly in wrongful death cases, the family could claim that there was pre-impact fright, but it can be a difficult thing to prove. Unless you have over 71 feet of skid marks. Pre-impact fright is one element of what are called “non-economic damages.” Those include things like pain, suffering, mental anguish, inconvenience, and disfigurement. They are the things that cannot be calculated with logical certitude, like medical expenses and car repair costs. Tagged: "auto accidents", "emotional suffering" and "pre-impact fright"